Barcelona have reportedly agreed on personal terms with Frenkie de Jong, while Lionel Messi is said to want them to target a defensive alternative to Matthijs de Ligt. 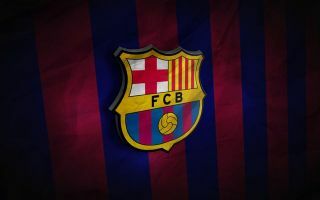 The Catalan giants are going well so far this season as they lead the way in La Liga and have advanced to the knockout stage of the Champions League. With an eye perhaps on longevity and maintaining their success with a long-term vision in mind, they have been paired with young talents which would also perhaps avoid disrupting the current balance in the squad. As noted by Sky Sports, via SportBild, it has been suggested that Barcelona have reached an agreement on personal terms with Ajax starlet De Jong, with a five-year contract being touted. However, importantly it’s added an agreement is still missing on a transfer fee, with Sport previously noting that while Barca value him at around €60m, Ajax are trying to hold out for something closer to €75m. In turn, a deal could still be tricky, although there are few doubts over De Jong’s ability to fit in at the Nou Camp, given the technical quality and creativity ability that he possesses which he could bring to the Barcelona midfield to eventually replace the likes of Sergio Busquets and Ivan Rakitic. The 21-year-old has already made over 60 appearances for the senior Ajax side, while he has earned five caps for the Netherlands. While that would address the midfield, Don Balon report that Lionel Messi would prefer the club to sign Inter defender Milan Skriniar rather than De Jong’s Ajax teammate, De Ligt. It’s suggested that given the complications over striking a deal for De Ligt, looking elsewhere seems like a potentially sensible strategy and Skriniar has certainly established himself as a more than capable target. Barca did sign Jeison Murillo on loan last week and so time will tell if perhaps he emerges as the long-term solution, with the report noting that Skriniar could cost up to €60m. It’s not the first time that the 23-year-old has been linked with a move to Barcelona, as noted by Calciomercato, and having played a key role in getting Inter back into the top four in Serie A and back in the Champions League, perhaps he could be moving on in the near future.